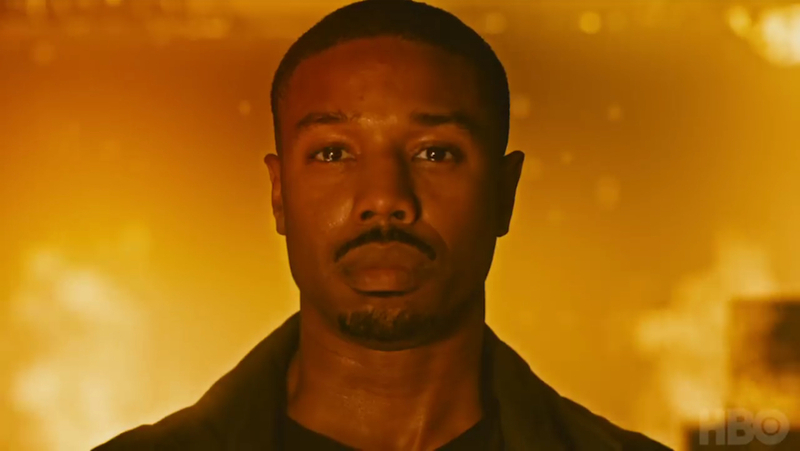 Michael B. Jordan Burns Up Our Screens In 'Fahrenheit 451' Trailer! What if you lived in a world where books are banned, history is censored, the media is a threat, and the government controls everyone to all conform to the rules? Well, this is life for everyone in Fahrenheit 451, the dystopian film based on the classic book of the same name by Ray Bradbury which, in an ironic twist, we were all forced to read in high school. In this HBO adaptation, Guy Montag is played by Michael B. Jordan, a fireman whose duty it is to burn books. When he becomes curious about the books he incinerates, he begins to question everything in society, from the meaning of his job to the way the behavior of all the citizens is regulated. He wonders if books are actually evil as he's been programmed to believe, and if firemen used to put out fires instead of starting them. Written and directed by Ramin Bahrani, Fahrenheit 451 seems to be full of suspense from what we saw in the trailer. The last time this story was made into a film was in 1966 by legendary director François Truffaut and has been controversial among book purists for changing key elements, such as Clarisse's fate (although the changes had the approval of Bradbury himself). We'll have to wait and see if this new adaptation remains more faithful to the book than Truffaut's version! Also starring in the film are Lilly Singh as Raven, Laura Harrier as Mildred Montag, Martin Donovan as Commissioner Nyari, Andy McQueen as Gustavo, and Dylan Taylor as Douglas. Fahrenheit 451 Premieres May 19 on HBO at 8pm!